The Dome Rockers#1487 derived their name from a rock formation along the Oregon Trail near the city of Gering. As the wagons on the Oregon Trail left Chimney Rock near Bayard, they began to look for the next landmark. This area became known as Mitchell Pass and was one of the most striking pieces of scenery on the Great Plains. Through this tortuous and narrow gap moved thousands of covered wagons, hundreds of military expeditions, and shuttle of stagecoaches, Pony Express Riders and the first trans-continental telegraph line. The Bluffs comprised of sandy colored clay identified this pass. 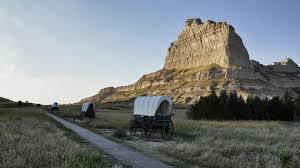 The largest formation became known as Scotts Bluff named for the trapper that died nearby. There are five formations, and each was given a name. Dome Rock, the first and largest, was so named because it looks like a dome. Others were called Crown Rock, Sentinel Rock, Eagle Rock and Saddle Rock. The members in our group all share an interest in history, historical sites, and all landmarks, especially along the Oregon Trail. Our name reflects our pride in our local history. Chapter meetings are held on the second Tuesday of the month at 1:00 P.M. except in June, July and August. There are 16 members. A telephone call will remind members of the meetings. RSVP your regrets to the hostess. Officers are elected for two year terms. Dues are $28.00. State Day is held in April when all chapters are invited to the host city. International is held in May in host State or Province. At our 2018 Spring State Board meeting, Sheila, President of Dome Rockers #1487 noted the following: Pride in counting Nebraska Questers President, Sandy, and Corresponding Secretary, Vicki, as chapter members. The chapter enjoyed several notable programs including: Artist Dolls; visit to High Plains Homestead in Crawford NE; visited and provided refreshments for open house for two local artists at the Nebraska Arts Center; visited Morrill, NE and toured two unique homes for “mothers-in-law” and had a program on Salt Cellars. Once upon a time, there lived a very wealthy mandarin who had a beautiful daughter named Hong Shee. There was also a boy named Chang who loved Hong Shee. To keep them apart, the mandarin imprisoned his daughter in his palace. One day, Hong Shee escaped to meet Chang. The two lovers raced over the bridge to a waiting boat, her father in hot pursuit. They managed to elude the mandarin, reach the boat, and sail away. A great storm developed, the boat floundered, and the couple were lost at sea. Since this was not their destiny, the gods turned the lovers into love birds so they could be together forever. Dome Rockers visited the Quivey House in Mitchell, Nebraska. This house has a very interesting past. The sprawling three-story house served as the Quivey home from 1914 until they divorced in 1927, after which Mrs. Quivey had the building converted into apartments. In 1983, the site was added to the National Register of Historic Places. Despite its architectural grandeur and historical value, it sat empty for a while. Shane and Amy Reinpold, who lived next door, long admired the building and bought it nine years ago. Eventually, they moved in, though it was more house than they needed. At 1462 19th Ave., the home sits at the intersection of Highway 26 and Highway 29. Quivey built it on what was originally an acre of land, with three stories, a maid’s quarters and a gazebo. The interior includes built-in cabinets and original crystal chandeliers from Bohemia, as well as oak floors, beams, doors, trim and an ornate open stairway in the front foyer. The doors are inlaid with ebony and mahogany. The Reinpolds generously treated us to tea during our visit. We enjoyed a very special Valentine’s Tea and meeting in February at the home of Nebraska State President Sandy Strey. 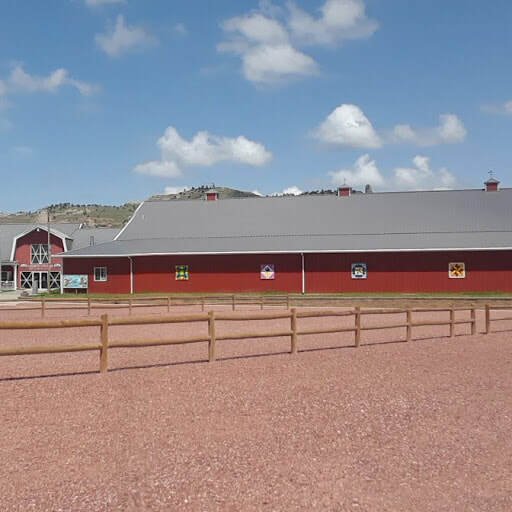 Her beautiful log home sits amid the tall pines and craggy buttes of the Wildcat Hills south of Gering. Within the rustic beauty of the log home an elegant antique table was set with Old Country Roses china by Royal Albert, ruby red crystal goblets, fresh flowers and her collection of three dimensional cut-out valentine cards. A delicious dessert was provided by E. J. Deter. ​The program given by Judi Widmaier was the tragically true story of Elva Dempster Troyer and Albert Melville Troyer and the least heralded migration in American history. Thousands of Americans from all walks of life, from professors to factory workers left America to join the Five-Year Plan of Soviet Russia lured by the prospect of work at the height of the Great Depression in the early 1930’s. The Troyers, a scholarly couple from Nebraska, were taken in by an attractive offer to live and work in Russia in 1934 only to become victims of Stalin’s Great Purge. Arrested in 1937 as a counter-revolutionist he disappeared, either executed or sent to the gulags in Siberia. Elva was forced to leave Russia. Arriving in Paris she purchased a Clelia doll for her niece in Sioux Falls. Judi is pictured holding a similar French doll. For nine years Elva fought, unsuccessfully, to free her husband passing away at age 79, never hearing any news or resolution regarding Albert’s destiny. Relaxing after a busy day shopping in Nebraska City. ​ Vicki, Mary, Sandy, and Doris. The first picture in the top row is of Dome rock. The butte is 4,396 feet above sea level. It is called Dome Rock because of its peculiar shape. It appears from a distance more like a grain elevator. The name “Dome Rock” was officially adopted by the U.S.G.S. on June 11, 1941. Dome Rock has been referred to by many names down through history, such as a: tower, spire, lighthouse, castle, church and cathedral. The second picture in the top row shows Chimney Rock. This imposing landmark is composed of layers of volcanic ash and brule clay dating back to the Oligocene Age (34 million to 23 million years ago). Chimney Rock was one of the best-known landmarks along the Oregon and Mormon Trails. Approximately 500,000 pioneers passed by Chimney Rock on their way west. 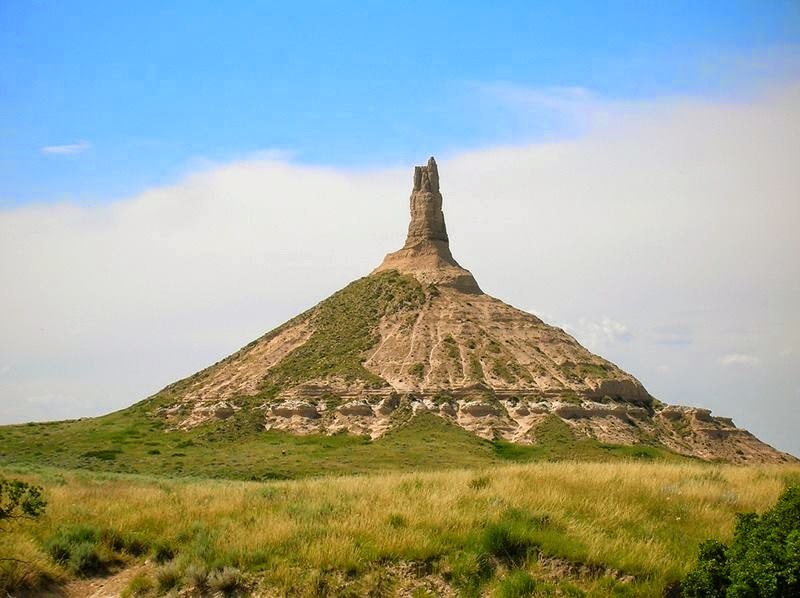 No one really knows the origins of the name of the rock, although the title “Chimney Rock” probably originated with the first fur traders in the region. In the early nineteenth century, however, travelers referred to it by a variety of other names, including Chimley Rock, Chimney Tower, Nose Mountain and Elk Peak, but Chimney Rock had become the most commonly used name by the 1840s. The third picture in the top row is of the Lake Minatare Lighthouse, an historic mock lighthouse located on Lake Minatare near the city of Scottsbluff in Nebraska. 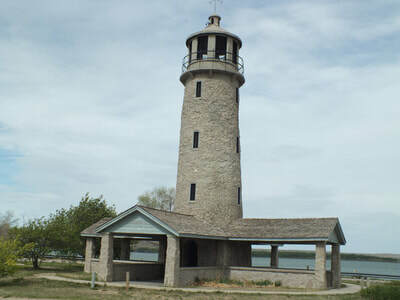 The 55-foot tower was built by the Veterans Conservation Corps in 1939 and is currently located within the North Platte National Wildlife Refuge. Designed as a combination shelter house and observation tower, it was "built to simulate a lighthouse." The second picture in the bottom row is Eagle Rock. Looking like a halved dome, Eagle Rock is 4,482 feet above sea level. In 1853, Mariett Foster Cummings stated “There is a pass through that is guarded on one side by Sugar Loaf Rock [Eagle Rock], on the other by one that resembles a square house with an observatory [Sentinel Rock]. 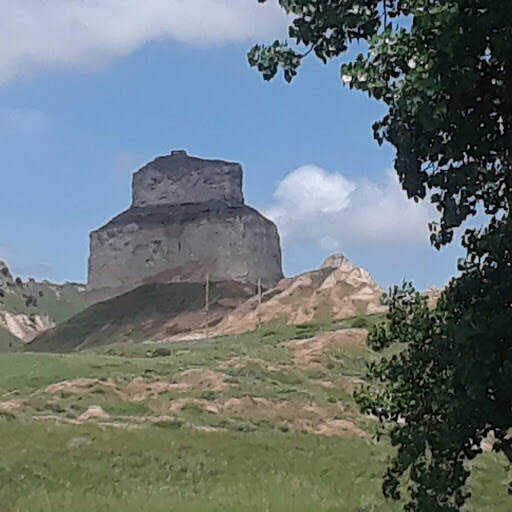 There is one (nearest the river) that is certainly the most magnificent thing I ever saw.” Eagle Rock forms the north side of Mitchell Pass through which thousands of emigrants drove their covered wagons single file and Pony Express riders galloped to deliver mail. The third picture in the bottom row is of Riverside Discovery Center. Riverside Park is Scottsbluff's city park, and has the only zoo in western Nebraska. It includes three lakes with camping and recreation areas, and a riverside trail that runs along the banks of the North Platte River. There are also over 30 garden spots. 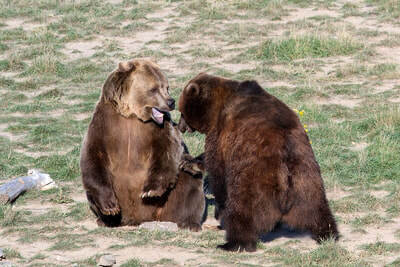 December 16, 2017 two brother grizzly bears went on exhibit. In the spring of 2017 their mother was illegally killed in Wyoming. State and Federal wildlife officials hoped the two orphaned cubs would survive in the wild without their mother. When it was evident the cubs were not going to survive in the wild on their own, State and Federal wildlife officials made the decision to capture the two cubs and try to find them a home. Riverside Discovery Center offered to assist in the rescue of the two cubs and to provide a new home for these two grizzly bear cubs.